All this week at Beauty Naturalé we will be looking into our superfood of choice, Blueberries!! ; we will help explain some of the medicinal benefits this tasty treat provides, along with how this will improve your health but most importantly the best ways of using them to help you look and feel great! Blueberries aren’t just perfect for topping your yogurt or for making pies – they’re great for maintaining beautiful skin, too! Nosh on this sweet, antioxidant-rich food and reap the skin benefits. “On top of that, blueberries are also packed with vitamin C, another antioxidant crucial for collagen production,” adds Jarosh. 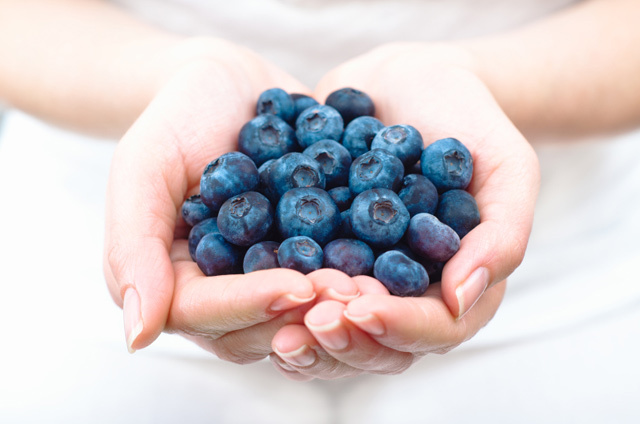 Antioxidants are nature’s fountain of youth, and blueberries are simply bursting with ’em. Additionally, the phytonutrients in blueberries (organic plant compounds that are thought to aid in human health) can help curb skin cancer! Follow us all week on twitter, Facebook and our blog for our top tips and recipes to get more of this super-scrumptious superfood into your diet and working to make you look and feel great! !